Here’s our Top Picks for the Weekend of July 7th & 8th! It’s a slightly abbreviated version to what we normally do, but we’ll be back in full force next week! Stay cool and explore something new! Peter Pan by American River College Theatre’s Children Traveling Show. See the ARC Children’s Traveling Show “Peter Pan” for one month only. Be prepared to be graced by the magic of the tale of three children’s journey to Neverland. This land where they meet all sorts of characters, including the mischievous Peter Pan! Learning about themselves, and family, the children go on a wild ride. $5. Fair Oaks Community Clubhouse. 916-966-3683. Sat. 11am. Here’s our Top 20+ Picks for the Weekend of June 30th & July 1st! Take older kids and teens to the Shakespeare Festival and watch Monte Cristo on a blanket under the stars, pick the last crop of blueberries at Camino Ridge, or join a Fawn Frolic and catch some baby deer sightings at Effie Yeaw Nature Center. So many reasons to get outdoors this weekend! Go out and play in the morning hours so you can cool off in water or indoors in the afternoon. It’s heating up! Walk across (or just look at) Foresthill Bridge, the tallest bridge in California. It towers over the North Fork American River. Then grab a delicious piece of country pie at Ikeda’s or grandma’s bread pudding at Awful Annie’s in Auburn. Americana Singalong. Americana Singalong is a fun way to prepare for the 4th of July and celebrate early. All the words for these folk songs and songs of American history will be projected to follow along. For those who prefer, sheet music will also be available. A great event for all ages! Come, bring a friend, and join in the singing. Free. Sun. 4pm. St. Mark’s United Methodist Church, 2391 St. Mark’s Way, Sacramento. Book a 5-hour Tom Sawyer Float Trip on the South Fork American River. Easy Class I & II rafting on a beautiful stretch of the river, with the added bonus of optional inflatable kayaking. 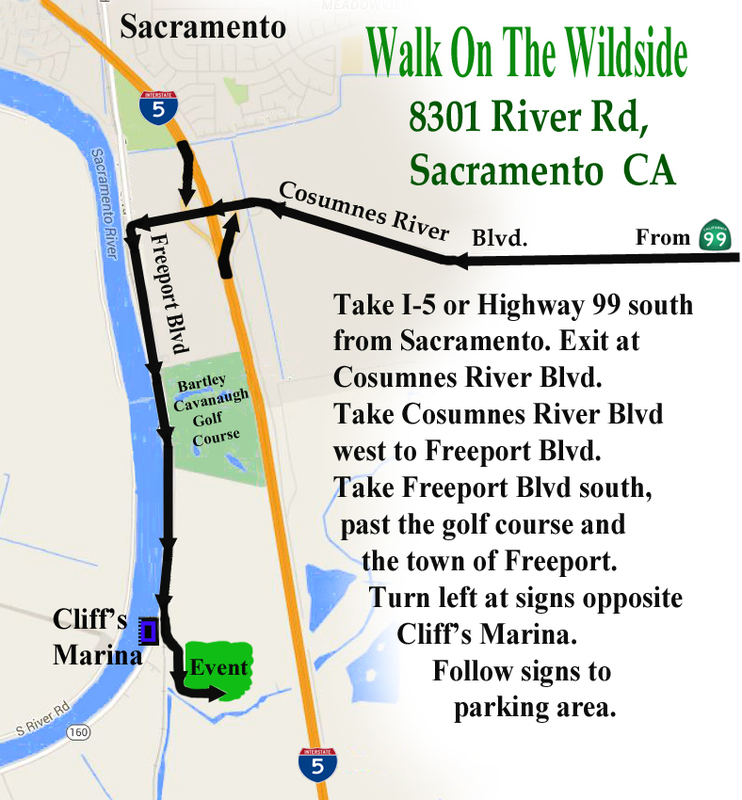 See oak trees, cottonwood trees, and wild blackberry bushes along the riverbed. Their prices are 50% off for kids on Sunday and Thursday trips. Ages 5 & up. Each kid must be accompanied by one full paying adult. More info on the Tom Sawyer Float Trip through Coloma by All-Outdoors California Whitewater Rafting… There are many other rafting companies to choose from, however. Take your pick! Here’s our Top 20+ Picks for the Weekend of June 23rd & 24th! All-you-can-eat ice cream at Fairytale Town, a guided photography nature walk, or look at the sun through a solar telescope! Cap it off with some water fun! Here’s our Top 20+ Picks for the Weekend of June 16th & 17th! Take Dad on a nature walk, planetarium show, or 5-story exhilirating water slide (the Dragon’s Den at Raging Waters). Have a fun and adventurous Father’s Day weekend. Try something new! Bring a rolling cart or stroller and show the kids the best fruits and vegetables in the Sacramento Valley. The farmer’s market under the freeway at W St. & 8th St. is reportedly the largest (most vendors) in the state of California. Last weekend we stocked up on lemongrass ($1 for a bunch of 3 large stalks), tomatoes, peaches, and Thai basil. Lowest prices on produce you can find–and all picked at their peak ripeness! Parking is usually available in the free lot next to the market, otherwise there is street parking on 8th & 7th. Stop by Southside Park on your way out and let the kids play tag on the playground. Take the kids for the first fun water day of summer at Raging Waters at Cal Expo. It’s Sacramento’s largest family water park, and you can get together with friends and go in on a cabana for $79+. Spring for the locker rental so you can enjoy yourself without worrying about losing your wallet or phone. Another favorite is Golfland Sunsplash in Roseville. Their twirly mega-slides are exciting just to see from the road. You can save by getting the Twinight Admission at 3pm or later. And toddlers under 32″ are free! Here’s our Top 20+ Picks for the Weekend of June 9th & 10th! Air guitar, a free hula performance, the Pride march, and the US Youth National Rowing Championships… it’s a busy weekend here in Sacramento! Ron & Carinne Cunningham Thank You Party. Ron and Carinne Cunningham have selflessly dedicated 30 years to the Sacramento community as Artistic Directors of the Sacramento Ballet. During their three decade tenure, they have transformed the Sacramento Ballet into a professional company of international renown, touched the lives of countless Sacramento children through their production of Ron Cunningham’s “The Nutcracker,” and given thousands of community members the opportunity to see a ballet performance for the first time thanks to their wide reaching and impactful dance outreach programs. Now is your chance to thank them for their dedication to Sacramento! Refreshments, cake, and an honorary ice cream flavor by Vic’s Ice Cream will be provided. Free. Land Park Village Green, Sutterville & Freeport Blvd. Sun. 5:30 – 8pm. We don’t usually post for Fridays, but if you ever wanted to take the kids to Burning Man without going to Burning Man… check out the B)o(B “Burners on Broadway” kid-friendly event taking place Fri. at 5pm on 34th St. & Broadway. Taking inspiration from the annual counterculture festival in the desert, Playa-to-Plaza aims to bring immediacy, radical self-expression and participation to Oak Park through art, dance, music and revelry. Come see art projects, flow artists, art cars, and theme camps that have previously been to Burning Man. Stay for the community. Don’t miss Kate Marusina’s art car inspired by a giant pill bug in a post-apocalyptic world. The artist hopes that this vehicle will bring awareness to global warming, pollution, water shortages. You can also see this car at Sat. 4-6pm at the Village Green Park in Rancho Cordova. Learn how to can strawberries with your older teen at Canning Basics: Strawberries! at the Sacramento Natural Foods Co-Op. $45 and up. Must pre-register. Or just borrow a book at the public library and get started on your own! U-pick some fresh strawberries at Pacific Star Gardens in Woodland or another farm close to you. Just be sure to confirm they are open before driving out! Berry season is here! Take a family bike ride to a new area you’ve never been to before! 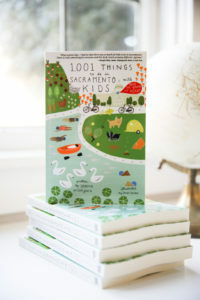 Try kid-friendly Elk Grove Creek Trail or Miner’s Raving Bike Trail in Roseville. ExplorAbility at the Sacramento Children’s Museum. ExplorAbility is an early-morning program for children on the autism spectrum, ages 3 to 5. With a maximum of 20 participants per session, the ExplorAbility program offers opportunities for children on the autism spectrum to participate in small group sessions within a structured program, featuring Sacramento area professionals from a variety of disciplines. Registration is required. Call 916-638-7225 x.103 to register. Here’s our Top 20+ Picks for the Weekend of May 19th – May 20th! Looking for things to do this weekend with the kids? Here’s our Top 20+ Picks for the Weekend of May 5th – May 6th! Don’t miss our last bookstore craft event at Avid Reader Broadway at 1pm – 3pm on Sunday!